(Wednesday, December 29, 2010) When Shadow Play Entertainment President Cyrus Webb began looking for a theme song to promote its literacy campaign for 2011, he didn't have to go any further than two of his friends that shared his passion for encouraging reading: Herschel Dixon of Louisville, KY and Chris Ervin aka Dj Down South of Raleigh, MS.
"As a father, Herschel has made books a large part of his daughters' lives," says Webb, 35. "He came to me with the idea to rewrite Cash Money's popular song "Get Your Roll On" to promote reading among young people as part of our Hip Hop and Books Campaign. It made perfect sense, and from there we got together and wrote the song. The only thing left to do was get someone to record it." Choosing Dj Down South was a no-brainer for Webb. "Down South had been a part of our Hip Hop and Books literacy campaign since I co-founded it in 2008 with Platinum-selling recording artist and bestselling author Corey "C-Murder" Miller in 2008," says Webb. "He saw what we were trying to do, and the rest is history." The song "Get Your Read On" will be used as the theme for not just the Hip Hop and Books campaign but Webb's entire initiative to encourage reading among all age groups and backgrounds. "We have to do whatever it takes to get people enjoying books again," says Webb. "This song is just one part of my plan to do that in 2011. I am already working on a video for Youtube featuring the song, and we are gathering an impressive body of influential individuals together to promote reading's importance as well." Celebrities that have already joined the campaign include actress/director/author Cherie Johnson (Punky Brewster/Family Matters), actor/author/recording artist Tray Chaney (HBO's The Wire), Vanessa and Angela Simmons (Pastry), recording artists Fizz and Booz and many more. 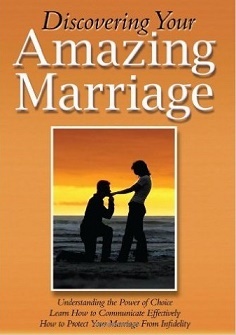 "Get Your Read On" is available for free download at www.esnips.com/web/getyourreadon. Webb hopes that people will share the song and use it as a catalyst to make books a part of their daily lives. For more information about Shadow Play Entertainment's literacy campaign, visit www.hiphopandbooks.net, www.taketimetoread.com or contact Cyrus Webb at cawebb4@juno.com or 601.896.5616. For recording artist Carlos Sims aka Carlito' Santino' (formerly Jokah da General), life has come full circle. The Mississippi native is seeing his hard work pay off in a big way, and that is helping him in fulfulling some of his goals in life. It seemed inevitable that music would be a big part of his life as an adult. "I knew I wanted to be a performer at a young age," says the 29 year old native of Jackson, Mississippi. "I would be watching Michael Jackson on tv. He was preforming the song "Rock With You", and I said then that performing was what I wanted to do. I grew up listening to music. My mom played alot of music at family gathering, and I couldn't help but start dancing to it. It spoke to me." Carlito' has gone from dancing to singing and evenutally rapping, not giving up one for the other--but allowing them to co-exist within him. What surprises him the most about the music he creates? "The fact that I have been able to find audiences of all ages, including what are considered older people," he says. "My music is diverse, and that has been true of my listeners as well. It's the power of the music and how it speaks to the person that makes them listen." Coming from a state that is known for great talent, Carlito' does find it frustrating that independent recording artists like himself are not always supported by their hometown, whether in events that are going on or even on the radio. "It seems that other states work more together, like in New York and Georgia. I feel like this: even if you don't like each other personally, you should want to support the talent because it's homegrown. We as artists dictate a lot of things in our community. For us not to work together and show unity can bring division into the city, and that's not good." Since he brought up division, I couldn't let the opportunity pass to ask Carlito about how he balances the business side of the music industry and his responsibility to be a positive influence. "It's kinda hard to balance the two," he responded, "but the important thing for me is being honest. I speak reality rap. Some reality is good, some is not. I do, however, make positive songs and give real messages in my music as well. You better believe that when I open my mouth to speak, there is a always a lesson to be learned by what I say." For Carlito' Santino', the future seems bright. He is currently working on a solo project, but he is also involved in his group Jack Squad. 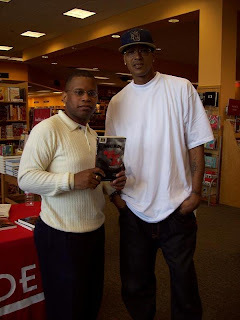 Carlito' is also a member of the Shadow Play Entertainment family and supports its literacy campaign Hip Hop and Books which gets music lovers involved in reading (see www.hiphopandbooks.net). When it comes to discussing sensitive issues such as race and disabilities with children, parents and educators are sometimes at a loss as to where to begin. Fortunately for them and all of us we have authors like M. Beatryce Shaw*. The native of Chattanooga, TN has used her own painful experiences of discrimination as a child to craft what has become know as the Brown Rose Series. 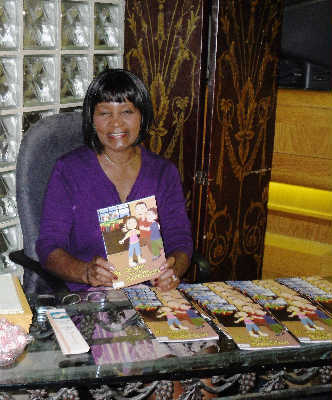 Now residing in Florence, SC, Shaw is seeing her own love of words inspire readers of all ages, passing on important lessons of acceptance and tolerance along the way. In this interview she discusses her beginnings as a writer, the strength she gained from her mother and even shares her advice for others who want to enter the world of publishing. Beatryce, thank you for talking with Conversations. When did you realize that writing was something you were interested in? I think communicating with others was my first desire and writing afforded that opportunity. Mind you, this was long before the advanced technological age in which we now live. Were you a big reader growing up? Yes, in school that I absolutely loved attending and through collecting Classic Comics. There were no libraries or Bookmobiles accessible and my mother, despite commendable efforts to provide as a single parent, couldn't afford to purchase new books. A lot of authors seem to write about their own experiences. How much of what you have seen and gone through has landed in a book? Everything in the Brown Rose Series, there are two more for completion, is the product of an unfortunate incident I experienced in the fourth grade. As painful as it was, I'm really thankful to be able to write and hopefully pass a message of tolerance and respect to future readers. Beatryce, writing can sometimes be seen as the easy part of the literary world. Marketing can be a totally different experience. How have you balanced the role of writing and promoting yourself? Ummmm, I'm not really sure I am balanced because writing is a pleasure without parallel. I realize the greater reason I write is to share, so marketing is vital. Fortunately, I enjoy meeting and speaking with people of all ages, but the joy of writing has no real comparison. Children's books are something I always enjoyed as a child. Why did you decide to write for children as opposed to targeting adults? I was often asked during pioneering entrepreneurial days how I weathered racial and gender storms to attain success. When I traced the mental and physical challenges of my past, the answer was within that defining incident in grade school that could have easily crippled me as a productive individual for my entire life. A strong, determined, though illiterate mother taught me to believe in myself and adhere to principles and ethics that withstand adversity. What last-minute advice you would give to aspiring writers that are reading this interview? It depends on their reason for writing. I own a publishing company...Schooner Publications, Inc. and people seek information on writing a book. I always tell them that writing for pleasure versus writing for profit should be their first consideration. I write solely to send a message of tolerance and respect. There are wonderful technological advances for aspiring writers, but there aren't a lot of us who will become millionaires. Thanks again for sharing your story with us. How can our readers find out more information about you? My website www.schoonerpublications.com or I'm available for appearances to schools, libraries, churches, special interest groups, etc. or e-mail schnr@bellsouth.net. 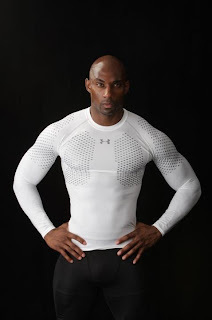 * M. Beatryce Shaw was recently a guest on Conversations LIVE Radio. 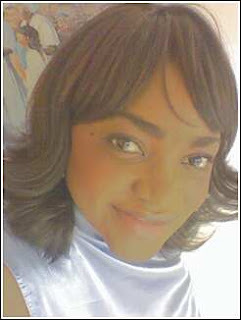 Listen to her interview at www.esnips.com/web/authormbeatryceshaw. (Monday, December 27, 2010) For Toledo, OH native Gail Ambeau, 2010 has been an exciting journey on the path of achieving her dreams. 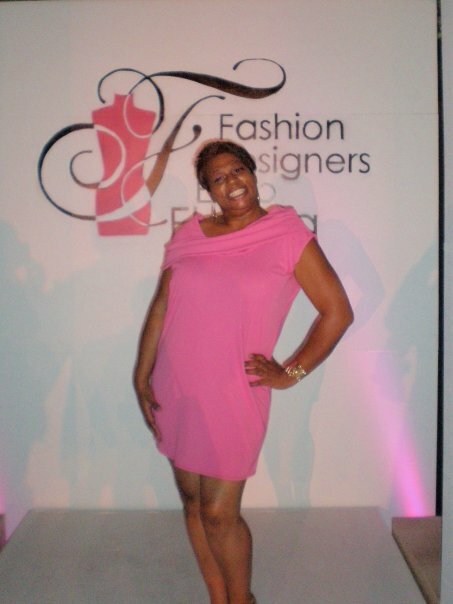 Everything the fashion designer/stylist/radio show host touched over the past 12 months has seemed to succeed, taking her to fashion week events, hosting her own weekly fashion segment and even having her designs featured on a recording artist's cd cover! As Shadow Play Entertainment is celebrating 2011 as a year of new beginnings, Ambeau is celebrating her newest adventure: being accepted into the Master of Fine Arts Graduate Program! "I am so excited to be accepted into the graduate program at Academy of Art," says Ambeau. "It has taken me a while to get here, but I don't think I would have made it before now." The MFA fashion masters degree curriculum refines and focuses the fashion graduate school candidate's individual vision. MFA candidates are prepared to launch themselves into the industry upon graduating. It is the only school invited to participate in Mercedes Benz New York Fashion Week in Bryant Park. The Academy of Art University has showcased graduate collections during fashion week since 2005. The Academy of Art University has one of the top fashion schools in the nation, with the most famous show in the industry. "My past experiences have gotten me to this point," says Ambeau. I mean really...I've been out of school for 21 years. I had to sell myself. I mean really prove to them that I was worthy of being a part of their graduate program. I was sweating bullets trying to pull everything together." The hard work paid off for the self-taught designer that has now worked with Grammy winners, nationally recogized models and had her work featured from coast to coast. In evaluating her work, her portfolio reviews stated: "Gail’s work to date is impressive in a dramatic sense and we are excited to see her explore The World of Fashion at the Academy of Art University. Her three dimensional skills appear to have a keen sense and knowledge of the body". Gail, who now lives in Jackson, MS, will be attending school from home via the internet. "The online aspect of their program was very appealing to me," she says. "It will allow me to pursue my dreams and goals, while maintaining stability for my family. I am enthusiastic about the knowledge that I will gain through the Master of Fine Arts in Fashion program, as well as the hands on experiences that I can apply to Ambeau’s Art and Fashion." As many are making their New Year's Resolutions, Gail has this piece of advice for anyone who thinks they can't achieve their goals and live their dreams: "All I can say is it's never too late. I am living in faithfulness on the edge of excitement on purpose everyday!" To find out more about Gail Ambeau and her company, visit www.gailrayfordambeau.com. Mississippi Native Encourages Others To "Take Time To Read"
(Monday, December 27, 2010) Though a lover of books all of his life, 35 year old Mississippi native Cyrus Webb didn't realize the true importance of words until his adult years. "For me reading was a means of escape and a way to learn about the world," he says. "Today I realize that in many cases it can be the deciding factor between success and failure." Because of this, in 2006 Webb began what has become the United States largest co-ed reading group, Conversations Book Club. Over the past four years it has hosted literary events across the country, creating spin-offs that embrace sports and music lovers. 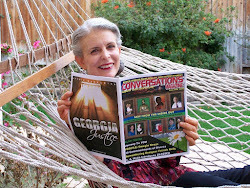 To date Conversations Book Club has hosted free events featuring 93 authors in Mississippi, Texas, Louisiana, Tennessee and Georgia. "We are all about encouraging reading," says Webb. "Since that is our aim, we have to be all things to all people to get them involved." Since Mississippi still ranks at the top of the list when it comes to illiteracy, Webb feels obligated to focus his main literary efforts at home. His organization Shadow Play Entertainment recently announced its theme for 2011 as "A Year Of New Beginnings". Though this applies to various areas in life, for Webb, helping others to fall in love with books is at the top of his list of priorities. On Thursday, December 30, 2010, Webb will be visiting two libraries sharing his organizations message for the New Year and giving out free books for all ages to help others get started reading as soon as possible. From 10-12p.m., he will be at the Pearl Public Library (2416 Old Brandon Rd * Pearl, MS) and from 1-3p.m., he will be at the Margaret Walker Alexander Library (2525 Robinson St. * Jackson, MS). The books have been donated by Shadow Play Entertainment, Great Little Books, LLC and author Jackie Carpenter. Webb also encourages individuals to visit his webpage www.taketimetoread.com and sign the pledge committing to reading in 2011. For more information about events scheduled by Conversations Book Club around the United States, visit www.thebestbookclub.info. Cyrus Webb can be reached at cawebb4@juno.com or 601.896.5616. His website is www.cyruswebb.com. During this usual festive time of year, many people are finding themselves overwhelmed with the cares of the day and their own mounting problems. 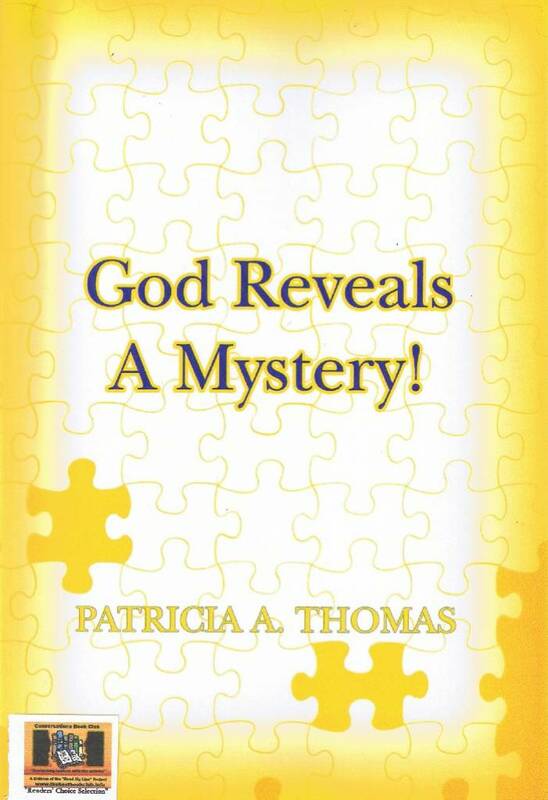 It is because of this, that people like Minister Patricia A. Thomas balances her gifts as an author and youth advocate with teaching the truth from God's Word along with giving them something they can use in their time of need as well. 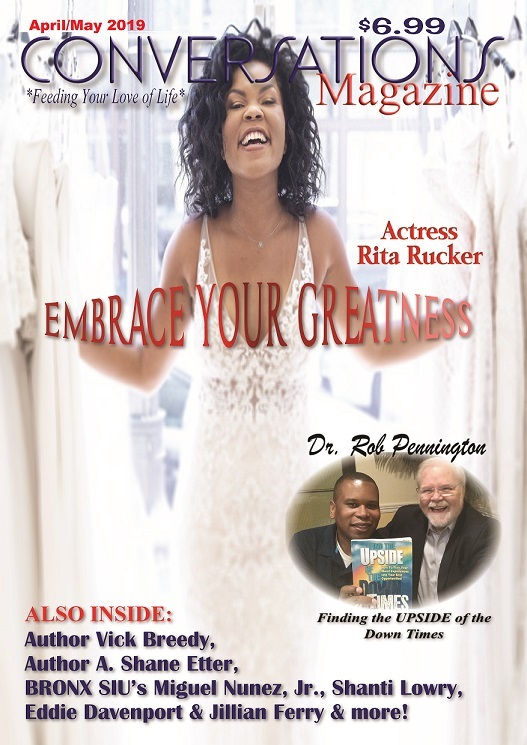 The Arcadia, Louisiana native currently lives in Columbus, Ohio where she has been sharing the message of her book GOD REVEALS A MYSTERY and allowing herself to be used to give an inspiration to those who need it. Just days before Christmas, she shared with me the importance of her faith, how she encourages those she meets and why it is so important that we search God's Word for the truth. Thomas also told me about her New Year's Resolution for 2011 and how it is something all of us might want to consider committing to. Patricia, thank you for taking some time to talk with us. You're the author of GOD REVEALS A MYSTERY!, and we'll talk about that in a minute. First, I want to talk about your faith and its role in your life. When did you realize that you were called to do something great? Cyrus, first I would like to thank you for this wonderful opportunity to interview me again. Now to answer your question- I believe that we all have been called to be great in regards to serving each other- the way that God would want us to serve. The Holy Bible says, "faith without works is dead." I have seen several tangible and visible signs and wonders from God that has allowed me to boldly do and say what I believe. And, I am aware that because God has given me a lot, he expects a lot from me, because the Bible says "to whom much is given, much is required." 2010 has been a rough year for a lot of people. Whether it's the economy, dealing with family and relationship issues or just the struggles of day-to-day living. As a minister, how do you encourage people to keep going when they don't see any hope? God wants us all to know that He is in control and at times, God allows storms to come in our lives to teach us that valuable lesson. With that being said, I encourage people, in this country, to stay prayerful, focused and content on how much more they have than others in many parts of the world. God wants us to be thankful for what He has done for us and to still praise Him in spite of our temporary challenging situations. You are a person who has to give of yourself so much through your ministry. What keeps you motivated? The main motivating force for me is to see the smiles on people's faces that God has used me to touch, especially our priceless youth. 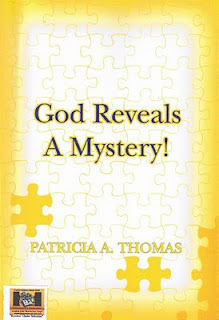 Your book, GOD REVEALS A MYSTERY!, discusses a range of topics, including evolution, the role of the Devil in the world as well as the real identity of dinosaurs. None of these are easy issues to tackle. Tell our readers how the book came about. My one-of-a-kind book came about by God's divine intervention with Him showing me in small puzzle pieces what Apostle John meant when he wrote in Revelation 12:9, that "the dragon, is the serpent of old, is the devil, or Satan". My true book is growing and will continue to grow. God has given me a great gift of VISION to not only tell of who the crafty devil or serpent is and the true origin of demons/evil spirits, but how the dinosaur hoax has allowed the Evolution Theory to grow, which is being taught to our youth in public schools, who are our most vulnerable and impressionable. Since I have written this book, I know that God has told many people and there are books and documentaries/films out there now, but most, if not all of them don't have the curse of the serpent or dragon that occurred during the time of the Garden of Eden in Genesis 3:14. The fossils left behind belong to the dragons' or serpents' and they aren't extinct, but live amongst us today and we commonly called them snakes. Like people, animals also have DNA and once the testing is done on the fossils of the serpent and the spine of the cursed dragon- it will be concrete scientific evidence that they are the same. What has surprised you the most about the response to the book, namely what you reveal about dinosaurs? The biggest surprise to me is when people read the book, watch my book video presentation, read my press release, or hear me lecture about it, most can understand this great mystery of what REALLY happened to the dinosaurs! It's amazing to see the power of God move with this revelation knowledge that must continue to be told to people until God accomplishes what He wants to fulfill. Patricia, there are a lot of people that feel as though one of the problems with education today is that God is being kept out of the schools. What are your thoughts about that, and how do you feel about a discussion of faith being encouraged in the public school system? Cyrus, that is a great question and God's answer to that is He wants to be back in the public school system. Many times, God has allowed people to make their own decisions and choices, because of the free will that He has given to us. However, with that we all fall short and it teaches us lessons of how God needs to direct our paths for us to not fail by using His holy word as the foundation. This is one of those situations where some made the wrong decision and we have paid a costly price for it- with our children being lied to about who they are and not the truth about them being created in God's wonderful image. What do you hope people take away from the book, and what would you like to see it brought to life as a documentary or on the big screen? It is my hope, prayer, and expectation that I will be able to do a documentary or a movie; however, the main target for me now is to stay on my course to see God remove The Evolution Theory from public schools, which will inevitably have to be presented to The Supreme Court for them to overturn their previous misguided ruling. Going back to what a lot of people are dealing with right now, any advice you have for individuals who feel helpless right now because of their current situations in life? Cyrus, I would encourage them to get close to God and remain close even when things are going well. God is watching how we handle our trials, tribulations, and "good days". Victory is always on the horizon, but God wants us to appreciate Him before and after the victory or breakthrough that He will give to us. Some soon forget His love and how He brings us through and God doesn't have a problem with reminding us. People around this time of the year begin making New Year's Resolutions. What about you, and if you do, what's yours for 2011? My New Year's Resolutions are to continue to "walk by faith and not by sight" and to be bold with doing God's will with treating people with love, dignity, and respect. With these ways, God will honor my obedience and I will continue to see His power manifested in what I am doing for His glory, purpose, and plan. Thank you for your time, Patricia. How can our readers find out more information about you and your book? 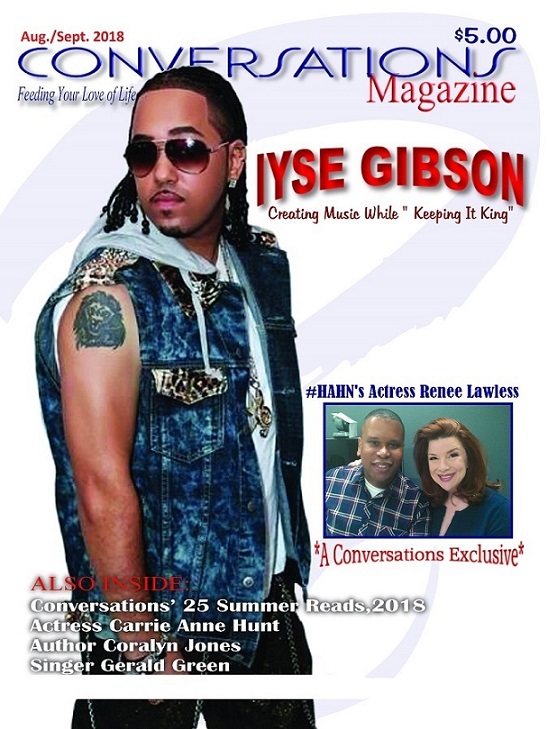 Cyrus, thank you again for this great opportunity to interview me. I can be reached at: www.FACEBOOK.com/WordsOfVision and www.TWITTER.com/WordsOfVision. My unique book is available on thousands of websites, including Amazon. For Conversations LIVE, 2010 has been its most successful year since it began in 2003, with over 450 guests already sharing their stories, projects and motivations and hundreds of thousands tuning in to listen. 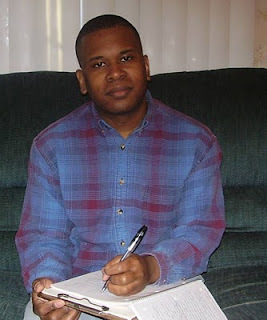 Show creator and host Cyrus Webb has been humbled by the response, and is already making plans for a 2011 roster that is sure to be just as successful and beneficial. In the meantime, there are still two weeks of great conversations ahead in this year, culminating in the last show fo 2010 called "The Year That Was 2010" on Thurs. December 30, 2010. Below is the upcoming schedule. The shows can be heard live online at www.blogtalkradio.com/conversationslive or by listening at 1.347.426.3645. Guests are encouraged to call into the switchboard (1.347.426.3645) a few min. early to ensure they are connected before their segment begins. * SUNDAY, DECEMBER 19, 2010 @ 7p.m. est (6p.m. cst/4p.m. pt) --- Cyrus Webb Presents "A Tribute To V. C. Andrews"
* MONDAY, DECEMBER 20, 2010 @ 1p.m. est (12p.m. cst/10a.m. pt) --- At the top of the hour Cyrus Webb welcomes author Karen Schutte to Conversations LIVE to discuss her new book. Then at 30 min. past the hour, Webb talks with author Richard Hine. * MONDAY, DECEMBER 20, 2010 @ 8p.m. est (7p.m. cst/5p.m. pt) --- At the top of the hour, Cyrus Webb talks with author Xi Xu. At 20 min. past the hour, resident chef Bruce Tretter will present this week's "Quick and Easy Cooking Tip". Then at 30 min. past the hour, Webb welcomes back author Rick Spann. Finally, at 45 min. past the hour, Webb welcomes back recording artist Dashawn to the show to discuss his news and introduce his single "Can You Handle It?". * TUESDAY, DECEMBER 21, 2010 @ 1p.m. est (12p.m. cst/10a.m. pt) --- At the top of the hour, Cyrus Webb welcomes back author/entrepreneur David Siteman Garland to Conversations LIVE to discuss his new book SMARTER, FASTER,CHEAPER. Then at 30 min. past the hour, Webb talks with recording artist J. Prophet about his musical journey. * TUESDAY, DECEMBER 21, 2010 @ 8p.m. est (7p.m. cst/5p.m. pt) --- At the top of the hour, Cyrus Webb talks with author Thomas Strawser about his book SPIRITUAL ENGINEERING. The at 30 min. past the hour, Webb talks with spoken word artist Desmond Spann. * WEDNESDAY, DECEMBER 22, 2010 @ 1p.m. est (12p.m. cst/10a.m pt) --- At the top of the hour, Cyrus Webb talks with author Tim Ostermeyer. Then at 30 min. past the hour, Webb talks with author Derek Blount. * WEDNESDAY, DECEMBER 22, 2010 @ 8p.m. est (7p.m. cst/5p.m. pt) --- Host Cyrus Webb talks with author Garry White about his book MY QUEST TO BE A SINGLE DAD and the challenges single men have when it comes to adopting. * (Dec. 23-26, 2010) Conversations LIVE Radio will be off the air. Happy Holidays! * MONDAY, DECEMBER 27, 2010 @ 1p.m. est (12p.m. cst/10a.m. 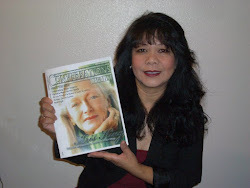 pt) --- Cyrus Webb welcomes author Aggie Villanueva to Conversations to discuss not just her life as an author but how she is helping other authors to fulfill their dreams. * MONDAY, DECEMBER 27, 2010 @ 8p.m. est (7p.m. cst/5p.m. 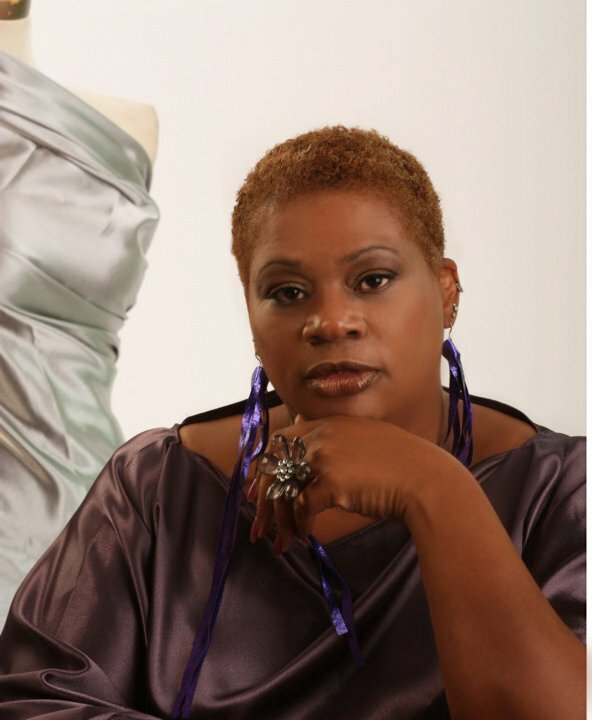 pt) --- At the top of the hour, host Cyrus Webb welcomes author TC Mattison to discuss her amazing new novel. Then at 30 min. past the hour, Webb welcomes back Charles Clark of Brothaonline.com and Brotha Live Radio to discuss what's next for him. * TUESDAY, DECEMBER 28, 2010 @ 1p.m. est(12p.m.cst/10a.m.pt) --- Cyrus Webb welcomes author Mike Cassidy to discuss his new book on bullying and how he hopes parents and educators can use it to address the issue. Then at 30 min. past the hour, Webb talks with author Dankwart Koehler. * TUESDAY, DECEMBER 28, 2010 @ 8p.m. est(7p.m. cst/5p.m. 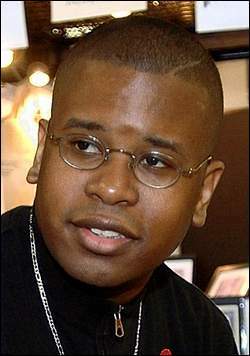 pt) --- At the top of the hour, Cyrus Webb talks with author Maxx Kilbourne. Then at 30 min. past the hour, Webb talks with author Roy Glenn about his amazing career and his new book. * WEDNESDAY, DECEMBER 29, 2010 @ 1p.m. est(12p.m. cst/10a.m. pt) --- At the top of the hour, Cyrus Webb welcomes back Wilson Mesa to discuss his newest endeavor. Then at 30 min. past the hour, Webb talks with author Susan Violante and Irene Watson to discuss how they are helping others to live their literary dreams. * THURSDAY, DECEMBER 30, 2010 @ 8p.m. est (7p.m. cst/5p.m. pt) --- Join Cyrus Webb and special guest co-hosts for a special TWO HOUR EVENT: "The Year That Was 2010". Look for a discussion of the biggest news and entertainment stories of the year with confirmed guests including author/speaker Tony Gaskins, Jr., recording artist Sterling8 and more! Thank you for making Conversations LIVE one of the most popular shows on Blogtalkradio.com! Our show is also heard on the radio dial in select cities in the South and replayed on Baton Rouge's KCPIRadio.com. Missed any of the live shows? Catch the free podcasts at www.blogtalkradio.com/converationslive. Additional information about shows and exclusive interviews can be found at www.conversationsliveradio.com. Are you interested in being a guest or advertising with Conversations LIVE in 2011? Contact Cyrus Webb today at cawebb4@juno.com or 601.896.5616. For over a decade Mississippi resident Mario Perdue (aka Big Pap Da Trap) has been active using his musical skills to make a difference in the Magnolia State and beyond. Beginning with street team work for Platnium Promotion, he showed his ability to work with others and to support the dreams of those who shared his love for music. Over his career he has worked with various groups, recording an album called FAMILY TIEZ with Next of Kindredz in 2002, being a part of shows with major artists Lil Boosie, P.N.C., Hot Boy Ronald and others. He started DMH (Dirty Muzik House Ent.) wth a friend, getting involved in the business side of the music game and went on in 2007 to form his record lable D.I.G. M.E. (Dis Is Good Music Entertainment) in 2007. Since that time he has focused not only on the careers of his artists, but given back to the community as well. . In 2006 he hosted the Youth "State of Emergency" Bash in Jackson, MS and performed for the Stop the Teen Violence Benefit the same year. He has also been featured in Da Capitol City Summer Jam in 2009 and taken his message of following your dreams into the classrooms with Shadow Play Entertainment in 2010. Throughout it all, Big Pap has remained true to himself, knowing that in the end, that is the only thing that will keep him relevant in the ever-changing industry. In the new year, you can expect him to continue pursuing his love of music, growing his company and trying to make Mississippi a more respected place. For more information, contact Big Pap at disisgoodmusic@yahoo.com, 601.720.5171 or Friend him on Facebook at http://tinyurl.com/bigpapdatrap. (Dec. 5-10, 2010) In 2010 over 400 guests have made Conversations LIVE Radio with Cyrus Webb THE place to share their books, music, careers and personal stories. During the week of December 5-10, 2010 Webb is pleased to announce that another great roster of individuals is ready to join in the conversation with you---each just as exciting as the next. To listen to the shows live online simply visit www.blogtalkradio.com/conversationslive or listen via the switchboard at 1.347.426.3645. Guests are encouraged to call into the switchboard at least 3-5 min. early to ensure they are all set for their interview. At the top of the hour, Cyrus Webb welcomes author E. N. Joy back to Conversations LIVE to discuss her amazing literary journey, followed at 30 min. past the hour with a discussion with author T. R. Pearson about his new book. Cyrus Webb welcomes author Wayne Caldwell to Conversations LIVE at the top of the hour. At 30min. past the hour, Webb talks with recording artist Patrice Wilson. At the top of the hour, Cyrus Webb talks with author Okeyo Jumal about his book SPIRITUAL SHACKLES. Then at 30 min. past the hour, Webb talks with author Michelle Izmaylov about her success. Cyrus Webb welcomes back actress Kathy Kinney to Conversations LIVE to talk about her love of books, becoming Mrs. P and her new book! Cyrus Webb talks with recording artist K. Drew on Conversations LIVE about his love of music and introduces his new single. At the top of the hour, Cyrus Webb welcomes author Linda Pace Samuel to discuss the writing of her debut novel. Then at 30 min. 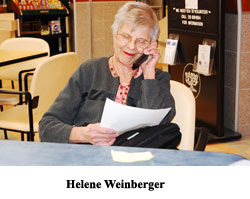 past the hour, Webb talks with author Deborah Duda. At the top of the hour, Cyrus Webb talks with author Liliana Badd about her beginnings as a writer and her book EXIT. Then at 30 min. past the hours, Webb welcomes back author A. P. Stephens to discuss his love of fantasy and his new book. Missed any of the live shows? Catch them all at www.blogtalkradio.com/conversationslive. You can also find out more information about upcoming shows and guests at www.conversationsliveradio.com. Interested in being a guest or advertising on Conversations LIVE or www.conversationsliveradio.com? Contact Cyrus Webb at cawebb4@juno.com or 601.214.0286. And didn’t care what she had to do to get it. Her life has always been seen as incredible. The manner in which she lives and conducts herself is impeccable. There is none like her, and she knows it. People envied what she represented, and she exploited it. Money doesn’t define the kind of woman she has become. She used her influence to diffuse the myth that coming from nothing and becoming something couldn’t happen. It could, if you only believed in what you wanted to achieve. Sharing with them tips on how to come to grips with their lot in life and still make a difference. Many looked up to her for strength and she gave them that. But the fact still remained that there was another side to her that few had seen. With all the good she did it seemed not to rid her of the vices that had become a part of her life. You see, she had a thing for bad boys. It was nothing serious, just something to play with, like a toy. Not wanting to seem too attached. Her perfect fit was someone rough and even untamed. It was a game. She didn’t want them to have any part of her world. The aim being to keep them in their place. She didn’t even have to know their full names. They would do things she would never discuss. Some of them unprotected, just for the excitement or the rush. Then afterwards she would find herself in tears, plagued by disgust. One day, though, her perfect health gave way to aches and pains. The strength she had relied on for years began to wane. And her doctor confirmed the suspicions of her mind. With all the wisdom she had acquired it was ignorance when feeding her desires that would be her downfall. Never thing that the carelessness of her private life could bring HIV. But that became her reality. Having trained for her role since she was a little girl. Now educated in a new course called Responsibility 101.